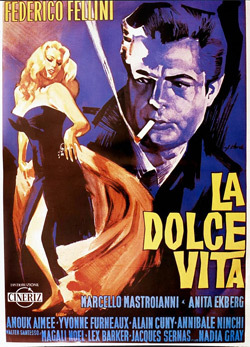 It is 50 years since Federico Fellini made La Dolce Vita. That fact alone makes the film fresh again. It is no longer a movie about the contemporary world, even if its critique of shallow, fame-obsessed popular culture feels relevant as ever.